Although I prefer the wonderful music and color-changing floats of SpectroMagic, I was delighted when Main Street Electrical Parade came to Walt Disney World in 2010. I don’t remember its previous runs in the Magic Kingdom, and something new to photograph is always a treat. 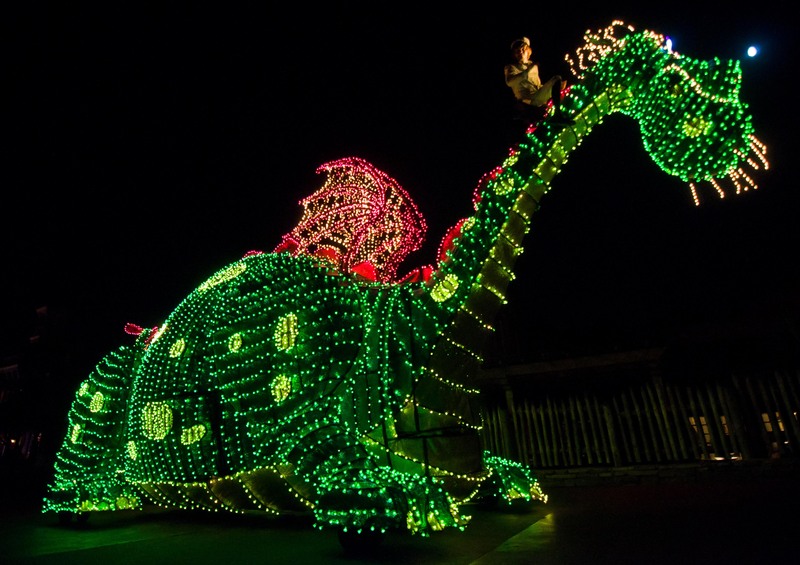 Plus, with incredible floats like the “disappearing” Elliot, the Main Street Electrical Parade is wonderful parade in its own right! I can hear Elliot’s music now! Great night shot, and of moving floats too!